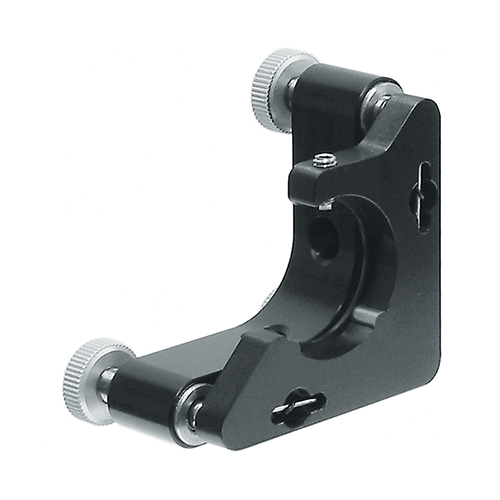 Kinematic Positioning Mount 840-0056 is used for precise angular and linear alignment of 1'' (25.4 mm) ring holders with nonlinear crystals. Mount has a resting flange to stop the optics. One fixing screw secures optics against hard rests, which make 2 contact points. To prevent damage to the optics, the tip of the fixing screw is made of plastic. The platform of 840-0056 mount is preloaded by two strong coil springs, ensuring tight kinematic fit. A thick base adds to stability. 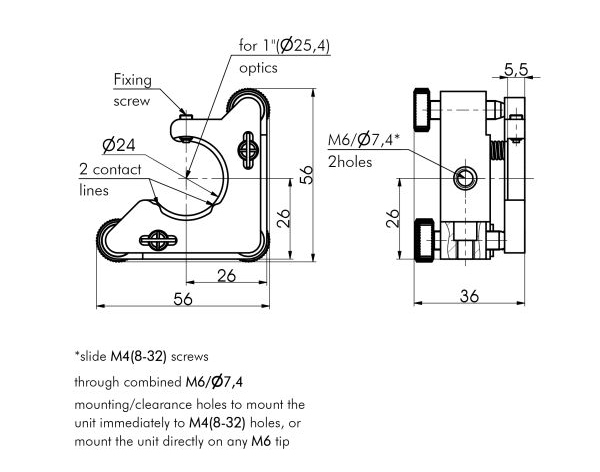 This allows to eliminate part of the mount, keeping one edge of the optics clear. As a standard, 840-0056 comes with the screws 870-0080 (with knobs).